Rec Boat Holdings, builder of the Four Winns, Glastron and Wellcraft brands, today announced its entry into the jetboat segment, relaunching the Scarab brand as a jetboat line and adding two new jet models in the Glastron line. The new boats from Rec Holdings are scheduled to roll out as soon as this summer. A long-term supply agreement with BRP&apos;s Marine Propulsion Systems division enables the company to power the new boats with its quality Rotax 4-TEC 1503 jet propulsion system. Since the acquisition by Platinum Equity three years ago, Rec Boat Holdings has invested heavily in new product development to bring the boat companies back to today&apos;s market with all-new designs from bow to stern. At its dealer meeting last August, the company introduced all-new product lines for Four Winns and Glastron, displaying more than 40 new models. 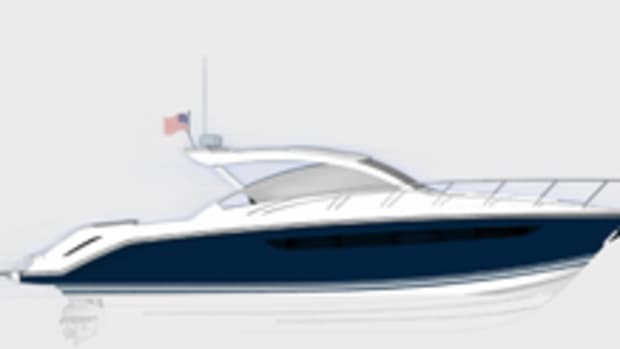 The company has recently introduced new interior packages on many Wellcraft models as the brand begins the same return to the marketplace. “A segment of the marine market that has been previously occupied by a limited number of jetboat makers will now open up with a high-profile brand from a builder with expertise in boat manufacturing and jet propulsion," Rec Boat Holdings president Roch Lambert said in a statement. The new Glastron models will be powered by the Rotax marine engines, as well, and are designed to fit within the all-new GT series of boats. The company is the second boatbuilder this week to announce that it is entering the jetboat market, coming just days after Chaparral announced its decision to break into the segment.